On today’s episode of THE FOOD SEEN, nearly forty years after Whole Foods Market began as a vegetarian store and cafe in an old house in Austin, Texas, there are over 500 locations across the country. While Whole Foods have certainly made their impact in how we shop for groceries, Founder/CEO John Mackey, hopes to further nourish people, and the planet, through empowering home cooks with the same ideology. 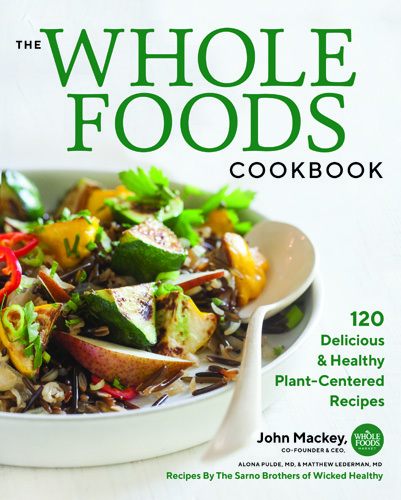 The Whole Foods Cookbook has 120 healthy plant-centered recipes, based off world cuisines, exploring our modern food diversity, which will make you hungry for pot of beans from Costa Rica, Okinawan sweet potatoes, and delicious dill-hummus vegan burgers! The FOOD SEEN is powered by Simplecast.